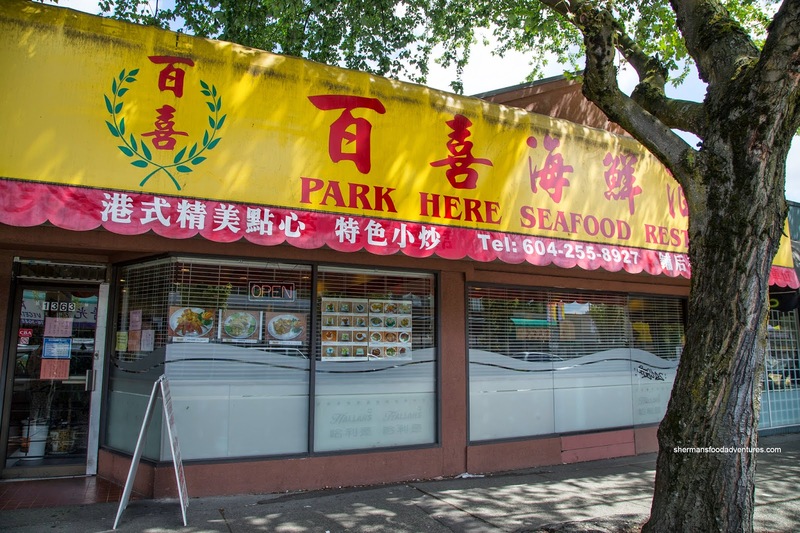 I really had to do a double-take when I noticed a new restaurant situated where Kam Wah Loong used to stand: "Park Here". Yes, the restaurant is named after a parking space. If they had opened up in Richmond, there would be a car driving through the front door by now. Wait, I mean diagonally through the entrance of the business next door... I sense that they did the translation a bit too phonetically as it should be really "Bak Hei". Ironically, there are very few spots at the back and there really isn't a whole lot of parking nearby. They should've named themselves "Park Around Here Somewhere if You're Lucky". Well, Goose as well as myself were able to snag parking spots relatively nearby, so we didn't "park there". We parked "nearly there". Anyways, with all the kiddies in tow, we got a diverse selection of food including the Pea Shoots with Wolfberries. This was executed well with tender pea shoots that still had a light crunch. Although it was served in broth, there was still enough seasoning to taste. Next, we had the XO Daikon Cake. These were fried up with a nice caramelized exterior. Inside, the cake was soft while still firm enough to keep its shape. 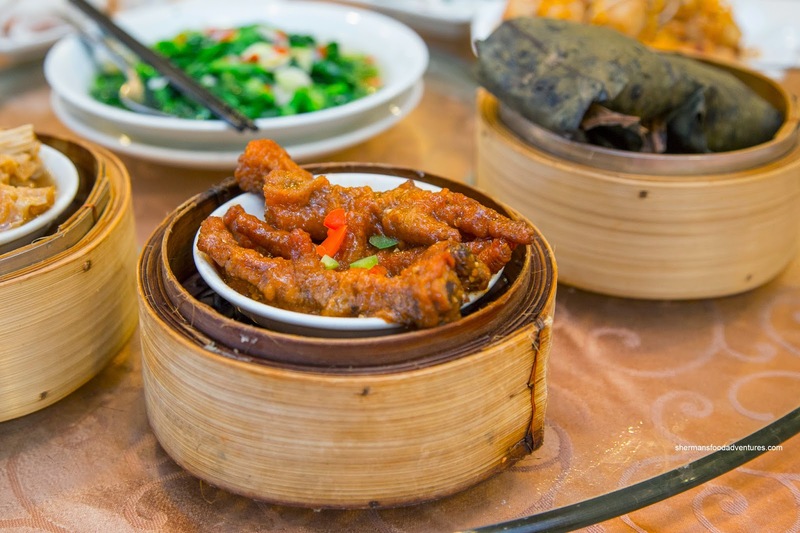 The predominant flavour was of dried shrimp because there was some inside and also the whole dish was tossed in it. There was only the slightest amount of spice which was good for the kiddies, but I would've liked to see more. With 2 orders of rice noodle rolls, we should've actually gotten 5 because the kids totally destroyed the Donut Rice Noodle Roll. I was able to wrestle one away where I discovered why they liked it so much. The salty donut inside was crunchy and airy which went well with the equally light rice noodle. 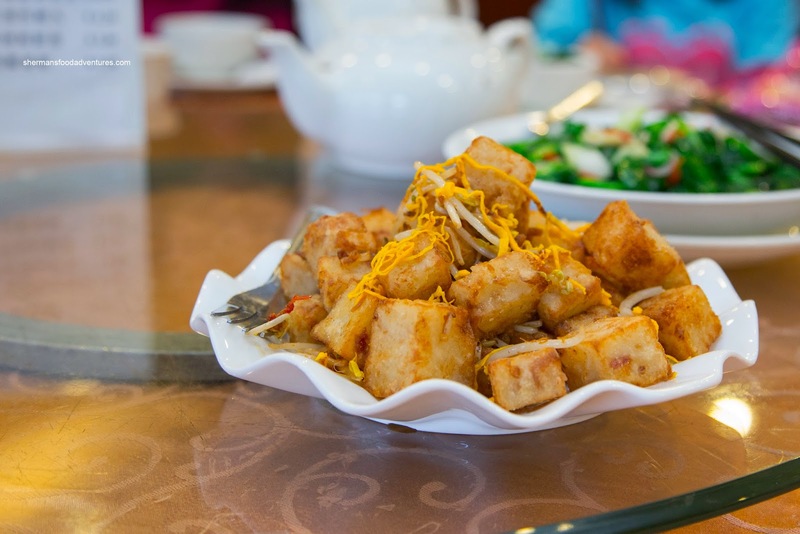 The kids were particularly happy that they omitted putting green onions into the dish too. 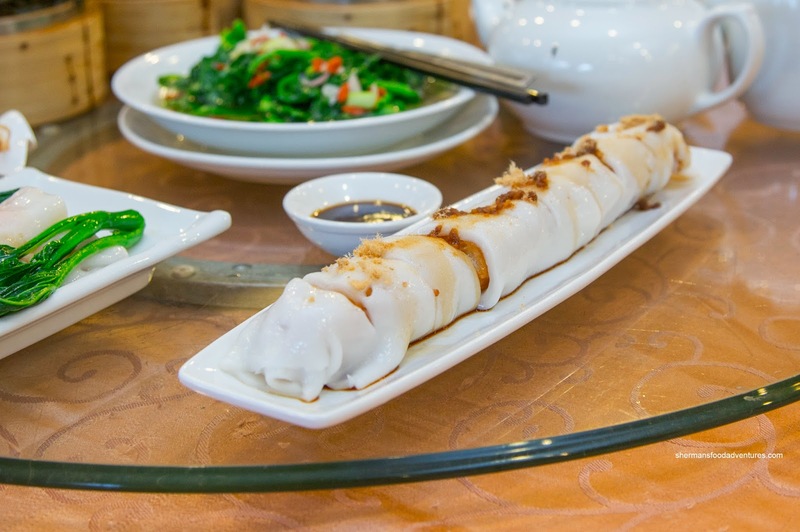 The Shrimp Rice Noodle Roll was also the beneficiary of the soft rice noodle. Although decent in size, the whole shrimp had a moist meaty texture rather than a snap. The shrimp were mildly seasoned where only a bit of sweet soy was necessary. 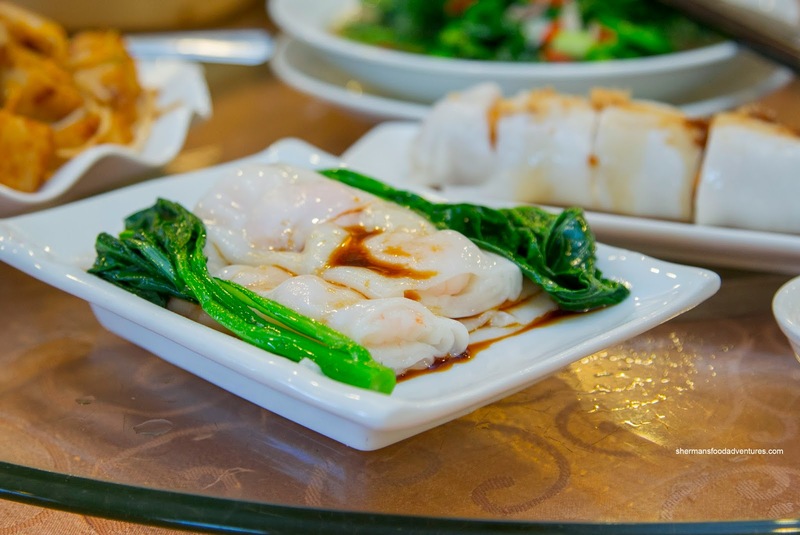 And continuing on with satisfying the kiddies, we got the Lo Mei Gai (sticky rice) and the Shrimp Spring Rolls. Well, the adults liked these dishes too, but the kids ate most of it. 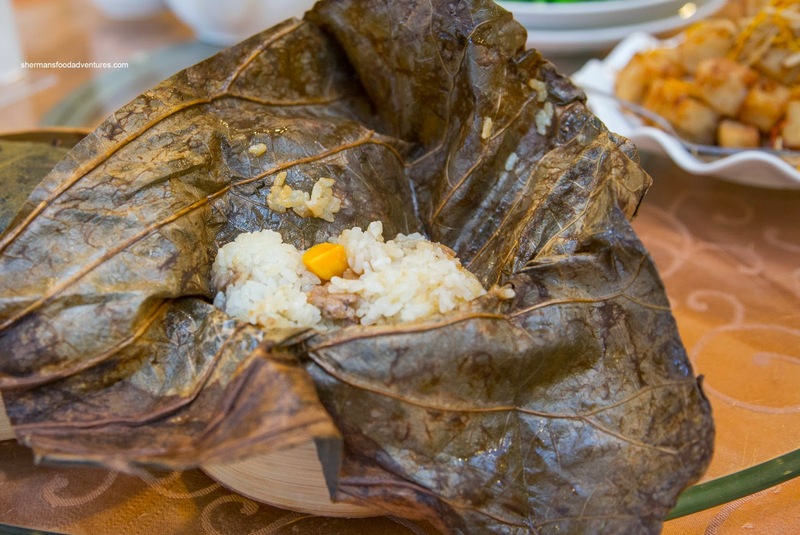 I found the sticky rice to be rather firm and dry, hence, it wasn't that glutinous either. However, there was large pieces of pork mixed with shiitake mushroom and salted egg yolk which helped alleviate the dryness. As for the spring rolls, they were crunchy and easy on the grease. The shrimp filling was well-seasoned and garlicky with some sweetness. Texturally, it mirrored the haw gow where the shrimp had only a light snap (more on that later). 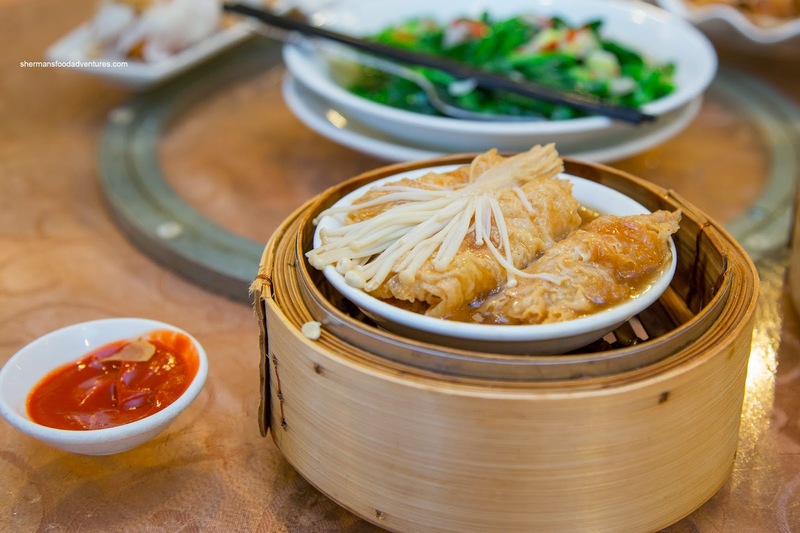 Onto some dishes for more mature tastes (or little foodies in the making), we had the Phoenix Talons and Bean Curd Skin Rolls. 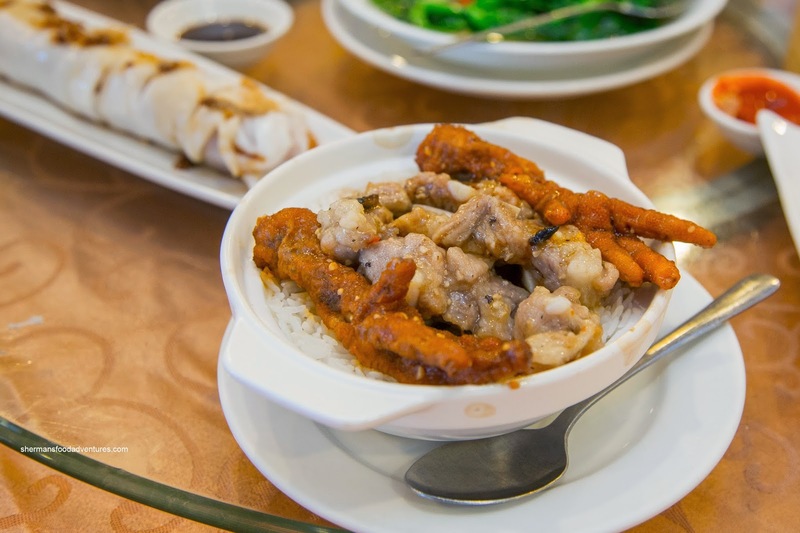 The phoenix talons (really chicken feet) featured a moist exterior skin which was flavoured with a sweet and salty sauce that exhibited a slight hint of the peppers on top. Underneath the skin, the cartilage was a bit too firm and crunchy. With a bit of enoki on top, the bean curd skin rolls were sitting in a fairly goopy sauce which was not overly salty. The exterior was appealing chewy while the pork filling had a good rebound texture. Interestingly, I found that there was this weird aftertaste that wasn't particularly pleasant. Was it the frying oil? Moving onto something more substantial, we had the Sparerib Rice Hot Pot. Interestingly, the phoenix talons here were more garlicky. As for the spareribs, they were meaty with a good bounce texture. There was enough black bean and garlic to make an impact. I thought they did a good job with the rice as it was dry and chewy, which meant it didn't go mushy from the ingredients on top. Looking like tanned Pac-Mans (after being cut), the Beef Meatballs exhibited the classic bounce texture (which in reality is not natural). 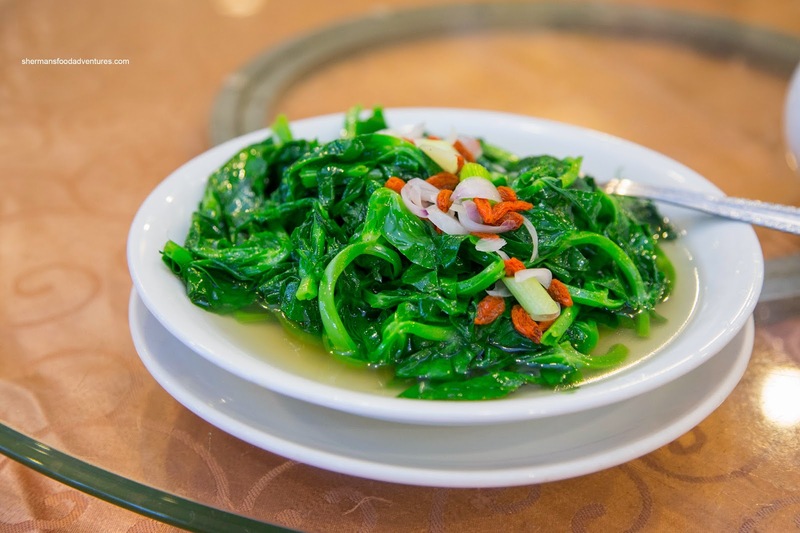 There was a good amount of greens and water chestnuts which afforded a slight crunch. 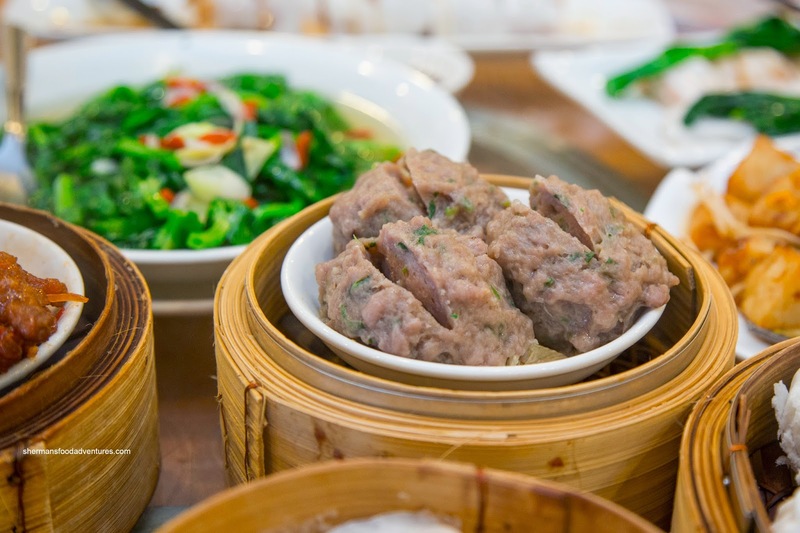 Moving along, we had the staples of Dim Sum being the Haw Gow (Shrimp Dumplings) and Sui Mai (Pork & Shrimp Dumplings). 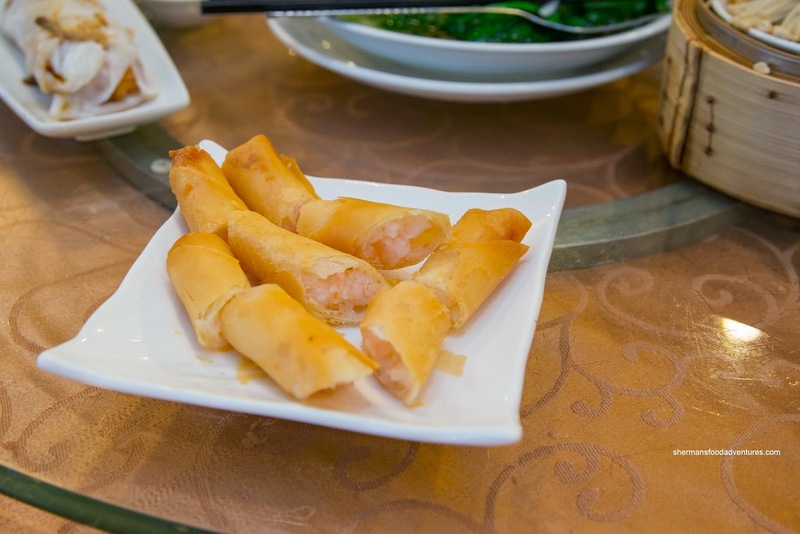 As mentioned with the spring rolls, the shrimp filling had only a very mild snap. In the haw gow (since it was steamed), the shrimp was more wet and buttery. Flavourwise, it was a little bland in need of more sesame oil and white pepper. The dumpling skin was on point though being thin and slightly chewy. 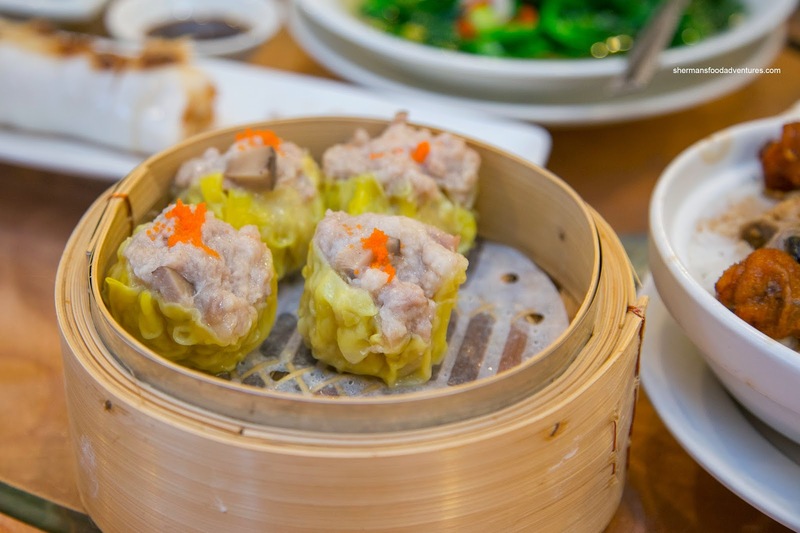 With an even mix of shrimp and shiitake mushroom, the sui mai were well-seasoned and not one-note in taste. Moreover, the texture was just right with a good mix between meaty and bouncy. For dessert, we had the Mango Pudding and Egg Tarts. 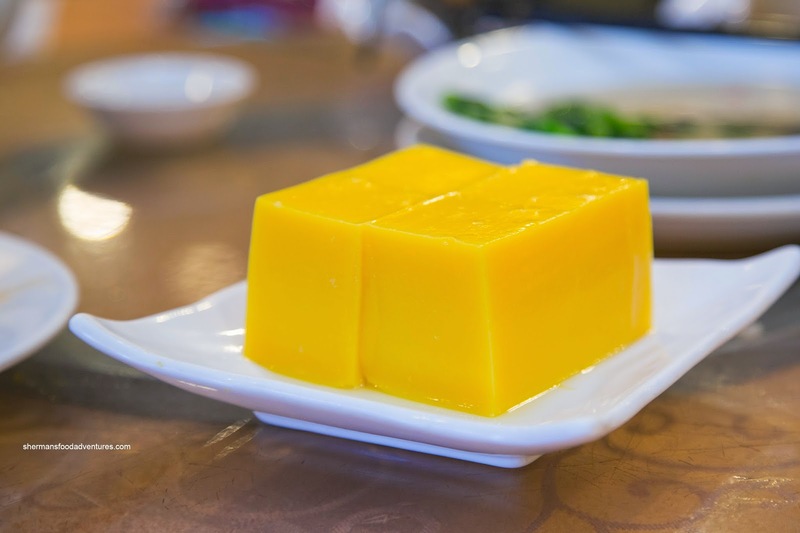 As with many versions of this "pudding", it was more of a mango jello texturally. In terms of taste, there was a packaged mango essence while being very easy on the sugar. 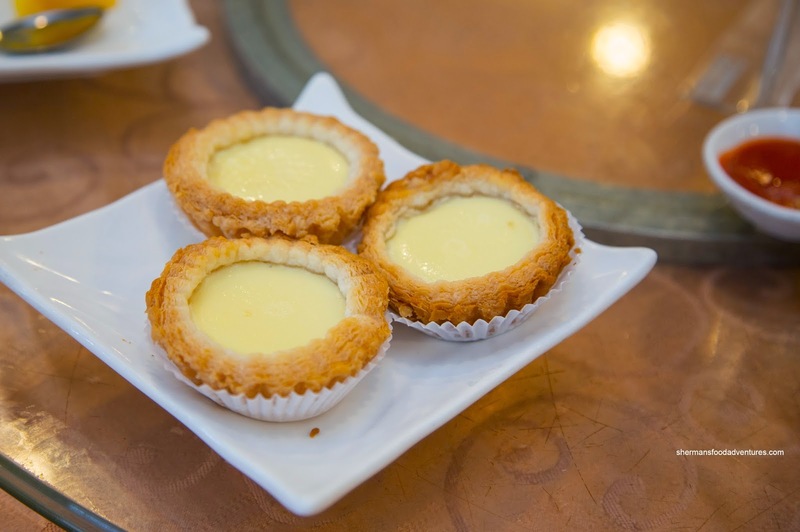 The egg tarts took awhile because they were baked fresh. Flaky yet a bit dense, the tart shell was buttery (probably lard) while the egg custard was quite thin and only semi-sweet. Overall, we found the food at Park Here to be pretty good for the price. 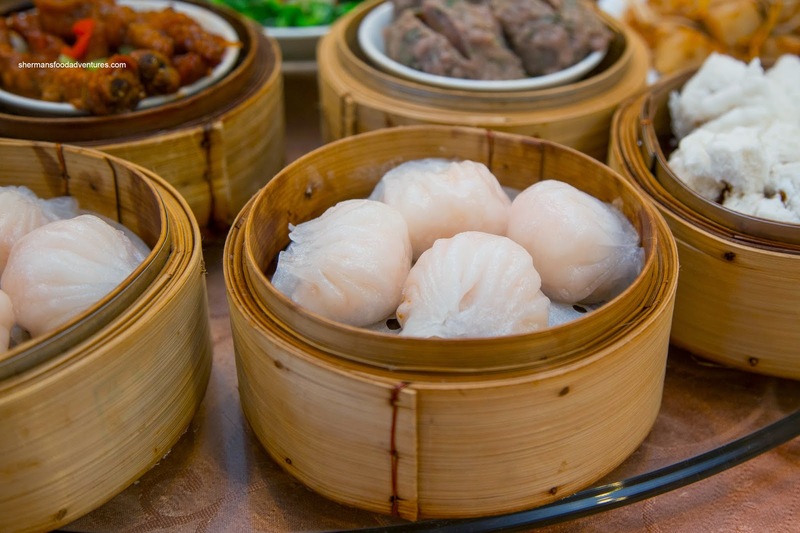 The place ain't fancy, but does the job when the Dim Sum urges hit. Furthermore, there will be a story to tell about the time you ate at a place named after a parking lot. Hey I thought I alerted you to this new place/new name ?? Funny, recently we went for dim sum at the place next door (meh) and I happened to park directly in front of Park Here. Good omen ? @LR To think of it, you probably did! LOL... Just forgot... Fine you get credit again!